Small Business Law: What Is An LLC? October 28, 2011 /in Small Business Law /by Daryle C. Tibbs Esq. https://tibbslawoffice.com/wp-content/uploads/2011/07/Grand-Opening-Image-110717.jpg 277 400 Daryle C. Tibbs Esq. https://tibbslawoffice.com/wp-content/uploads/2016/02/logo-300x74.png Daryle C. Tibbs Esq.2011-10-28 11:00:002018-02-07 23:57:37Small Business Law: What Is An LLC? Small Business Law: What Is A Promissory Note? October 26, 2011 /1 Comment/in Small Business Law /by Daryle C. Tibbs Esq. https://tibbslawoffice.com/wp-content/uploads/2011/07/Grand-Opening-Image-110717.jpg 277 400 Daryle C. Tibbs Esq. https://tibbslawoffice.com/wp-content/uploads/2016/02/logo-300x74.png Daryle C. Tibbs Esq.2011-10-26 11:00:002018-02-08 00:03:38Small Business Law: What Is A Promissory Note? October 24, 2011 /in Original Posts, Small Business Law /by Daryle C. Tibbs Esq. A few weeks ago, I met with another attorney that asked me to join her firm. This firm was an expense sharing firm which meant that I had two options. I could join as a partner, which would mean that I would have one flat monthly expense rate for everything the firm provided to me, or I could join as an associate, which meant that I would have to give the firm 40% of my earnings to cover the firm’s expenses associated with having me as a member of the firm. It was during that meeting that I discovered that a firm’s expenses are the biggest factor in deciding what rate to charge clients. During our conversation, I learned that her firm charges $1800 for a complete estate plan. I am not sure whether this was for a single person or a couple but regardless, $1800 is a lot of money, considering a couple’s estate plan is not much more work than an individual’s. This attorney bragged that her paralegal could finish the estate documents for this complete estate plan in approximately 12 minutes and another attorney in the firm could complete them in 6 minutes. During this meeting, I found out that I use the same estate planning software that this other firm uses; however, I charge much less for this particular service. Needless to say, I decided not to join that firm. That firm was attracted to me because I had clients; however, my clients would not be able to pay their rates, and with the added overhead expenses, I would not be profittable if I continued to charge my client’s the rates I charge them now. I share this experience, not to brag about how much less I charge my clients for this service, but rather to ask clients to look around when they meet with their attorney. If you meet with your attorney and you notice expensive artwork, extavagant furnishings, and many different sets of legal books, or if you find your attorney through expensive full page, color advertising, please understand that you are paying for those things. It is good to have a nice office, I consider my office to be nice, but you won’t find those items in my office. I do not want my clients to pay for those items, especially, if they are not benefiting from those items. 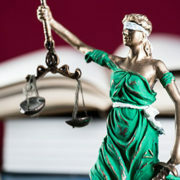 If you are a client that wants to see those types of material things when meeting with your attorney, then, by all means, choose an attorney that charges more money for his/her services. For resources that will help you save money with your legal bill, subscribe to my youtube channel at: http://www.youtube.com/TibbsLawOffice, www.youtube.com/tibbslawofficeKentucky or go to http://www.TibbsLawOffice.com. Small Business Law: What Is An Independent Contractor? October 22, 2011 /in Small Business Law /by Daryle C. Tibbs Esq. https://tibbslawoffice.com/wp-content/uploads/2011/07/Grand-Opening-Image-110717.jpg 277 400 Daryle C. Tibbs Esq. https://tibbslawoffice.com/wp-content/uploads/2016/02/logo-300x74.png Daryle C. Tibbs Esq.2011-10-22 11:00:002018-02-08 00:07:16Small Business Law: What Is An Independent Contractor? Small Business Law: What Are My Financial Responsibilities For My Employees? October 19, 2011 /1 Comment/in Small Business Law /by Daryle C. Tibbs Esq. Small Business Law: What Are My Financial Responsibilities To My Employees? https://tibbslawoffice.com/wp-content/uploads/2011/07/Grand-Opening-Image-110717.jpg 277 400 Daryle C. Tibbs Esq. https://tibbslawoffice.com/wp-content/uploads/2016/02/logo-300x74.png Daryle C. Tibbs Esq.2011-10-19 11:00:002018-02-08 00:12:50Small Business Law: What Are My Financial Responsibilities For My Employees? Small Business Law: What Records Are Important For A Small Business To Keep? October 14, 2011 /in Small Business Law /by Daryle C. Tibbs Esq. https://tibbslawoffice.com/wp-content/uploads/2011/07/Grand-Opening-Image-110717.jpg 277 400 Daryle C. Tibbs Esq. https://tibbslawoffice.com/wp-content/uploads/2016/02/logo-300x74.png Daryle C. Tibbs Esq.2011-10-14 11:00:002018-02-08 00:14:46Small Business Law: What Records Are Important For A Small Business To Keep? Small Business Law: What Is A General Partnership? October 13, 2011 /in Small Business Law /by Daryle C. Tibbs Esq. https://tibbslawoffice.com/wp-content/uploads/2011/07/Grand-Opening-Image-110717.jpg 277 400 Daryle C. Tibbs Esq. https://tibbslawoffice.com/wp-content/uploads/2016/02/logo-300x74.png Daryle C. Tibbs Esq.2011-10-13 11:00:002018-02-08 00:19:01Small Business Law: What Is A General Partnership? 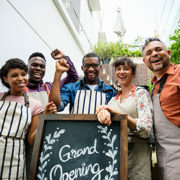 Small Business Law: Do I Need Any Licenses Or Business Permits To Start A New Business? October 7, 2011 /1 Comment/in Other Law Topics, Small Business Law, Top 10 Videos of 2015, Top 10 videos of 2018 /by Daryle C. Tibbs Esq. Top 10 Videos of 2018: #6 With 117 views during 2018, this video was the sixth most watched video of 2018.
https://tibbslawoffice.com/wp-content/uploads/2017/11/Misc-Lady-Liberty-110717-sm.jpg 267 400 Daryle C. Tibbs Esq. https://tibbslawoffice.com/wp-content/uploads/2016/02/logo-300x74.png Daryle C. Tibbs Esq.2011-10-07 11:00:002019-01-06 14:12:04Small Business Law: Do I Need Any Licenses Or Business Permits To Start A New Business?